Markets, public transport and educational institutions are shut in Karachi today (Friday) after Muttahida Qaumi Movement (MQM) announced three-day mourning over the assassination of its MPA Manzar Iman, News reported. The funeral of Manzar Imam, who was killed on Thursday along with his three guards in Orangi Town, will be held today after Friday prayers at Jinnah Ground. 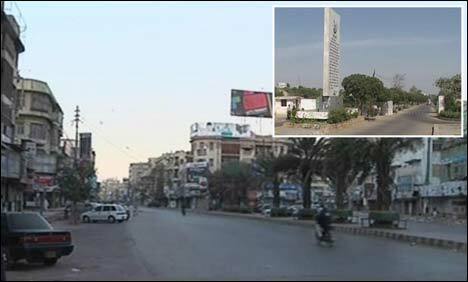 Karachi streets presented a deserted look and public transport remained thin after Karachi Transport Ittehad announced to keep public transport off the roads. All Pakistan Private School Management Association has announced to shut the private schools in the metropolis. Karachi University (KU) papers have also been postponed due to prevailing situation in the city. Sindh Traders’ Association has also appealed to the businessmen to close their business across the province today.